Make your first deposit at 888poker and you'll get to play in two $1,000 freerolls. 888poker is giving all PokerNews readers who create their 888poker accounts via our links, have the chance to play in $2,000 worth of freerolls in addition to receiving a free $88 and a first deposit bonus of up to $888, the largest in the poker industry. Getting your hands on the freeroll tickets is a simple task. All that is required is you download 888poker via PokerNews and make your first deposit into your new account. Once you have done this, 888poker will award you with two tickets to the twice-weekly $1,000 Depositors Free Tournaments within 48-hours. These $1,000 Depositors Free Tournaments shuffle up and deal at 8:30 a.m. and 5:03 p.m. every Saturday, each have a $1,000 prize pool and are only open to 888poker players who have made their first deposit recently, which means the number of entrants is far fewer than you would expect from a $1,000 freeroll. 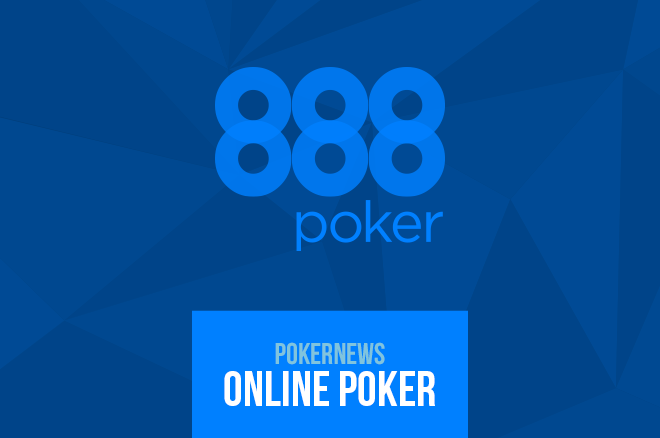 All new 888poker players receive a free $88 worth of cash and tournament tickets – this is a free £20 to residents of the United Kingdom — when they download the 888poker software via PokerNews. This free $88 is all yours once you have created your poker alias. When you come to make your first deposit, which you will want to do so you can grab two $1,000 Depositors Free Tournaments tickets; you can make it safe in the knowledge you are receiving the biggest 888poker bonus on the internet. 888poker matches your initial deposit 100 percent up to a maximum of $888 when you create your account via PokerNews; this is $488 more than the deposit offered on the 888poker website! Deposit $100 for a $100 bonus, $500 for a $500 bonus or $888 for the full $888 first deposit bonus. If you have not got an 888poker account, now is the time to change that fact. Download 888poker today and get your online poker career off to a flying start. Can You Turn a Freeroll Entry Into a WSOP Main Event Package?